Timpanogos Storytelling Institute | Bil Lepp is coming! We’re busy, busy, busy! 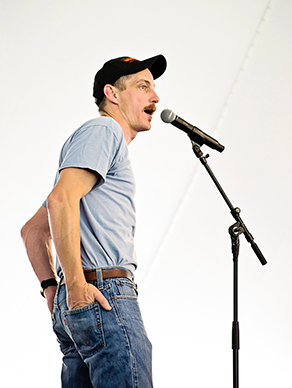 The Timpanogos Storytelling Institute offers storytelling concerts, workshops, contests and school programs, not only during our annual festival, but throughout the year. Recent events have included the Utah’s Biggest Liar Contest, and concerts by Charlotte Blake Alston, Kim Weitcamp, Donald Davis and Steffani Raff. Our current offering is a Bil Lepp telling tall tales at the Thanksgiving Point Gardens on May 4. If you haven’t had a chance to see him live, you are in for a treat. Check out this clip on Youtube of Bil with Andy Offut and Josh Goforth at our 2013 Festival. 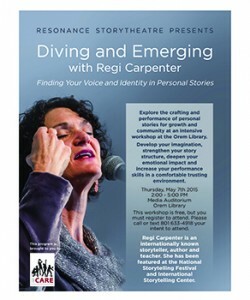 Another current offering you’re not going to want to miss is our free workshop with storyteller Regi Carpenter on May 7 at the Orem Library. Check out the calendar on our website, or connect with Timpfest on Facebook, Twitter, YouTube, Instagram and Pinterest to keep up with all of our current offerings. Through generous sponsors we are able to offer one of the the best values in entertainment throughout Utah, so tell your friends and join us at one of our many events throughout the year.